Life & Style had this style tip to offer, with Jennifer Lopez aka J. Lo taking the spotlight with her fringe bag. I love bags, and its nice knowing you own a fashion accessory that is endorsed by the stars. But looking at the fringe bags on offer, I can’t help but wonder if it might look dated after a bit. Its fussy and can dominate an outfit, which in my mind, a bag should never do. I mean, just look at it on J. Lo. I think a smaller or more streamlined bag would be looked better with her outfit, as she is quite bundled up. A large fringed bag just seems to add to the bulk – unflattering. I would like a little beaded fringed bag for the evening. But I think I’ll sit out this rage of fringe bags for a bit. As I’m not very tall, a large fringed bag will make me look like I’m carrying a furry animal on my shoulder! According to Life & Style of April 23, 2007, wedges are IN! I’ve always been in the market for a comfortable pair of wedges. But do you know how hard it is to find one that doesn’t make your feet look clumpy? I have small feet, so many times, wedges have a tendency to make them look unwieldly. I managed to score a pair a few months ago. Cork wedges for a casual look, with bronze metallic straps from Lewre. They felt comfortable when I tried them on, but after I bought them, I found they had a tendency to slip when I walked. So, I ran the risk of falling over, or twisting my ankles. That said, there is something catchy about wearing leopard print on your feet when you are dressed simply or dressed in black. Since this, I’ve been looking for a pair of nice leopard print shoes that don’t look skanky and you know, its really hard to find a pair! There is a lot of hype about mineral makeup in the beauty scene recently. However, this hype seems contained mostly in the western hemisphere, particularly in the USA. I haven’t seen local beauty magazines advocating mineral makeup, and we don’t get many brands of mineral makeup here too. Mineral makeup is makeup that contains mineral ingredients that exist in nature. These are primarily ingredients such as mica, titanium dioxide, zinc and iron oxides, and ultramarine pigments which can be blended to make every cosmetic from foundation to eyeshadow. Mineral Makeup is touted as being very natural and thus, good for your skin. Some more famous brands that carry mineral makeup are Bare Escentuals and Jane Iredale. 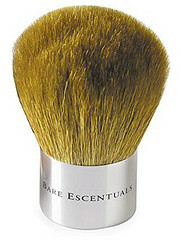 Bare Escentuals is available at the Shins store at MidValley Megamall but the selection is small. Some of the more mainstream brands seem to be jumping on the mineral makeup bandwagon too by coming out with their own mineral makeup lines e.g. Laura Mercier. I’m not sure if we will be getting it yet. Other brands of mineral makeup are by e-tailers i.e. online retailers. These are usually smaller outfits that operate from home and are only available over the internet. 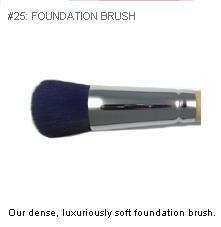 The more popular ones that I know of are Pure Luxe, Everyday Minerals and Alima Cosmetics. The one item that everyone likes from mineral makeup is the foundation. The coverage from mineral foundations vary from sheer to full coverage. Full coverage is usually achieved by layering on the powder for the desired effect. A warning for those with sensitive skins though: Some people with sensitive skins have reported allergic reactions to the ingredients in mineral makeup. These symptoms usually manifest in the form of itchiness. Others have also reported having clogged pores from using mineral makeup and breaking out. I have tried 2 types of mineral makeup – foundation and eyeshadows. This is my take on it. I tried the one from Everyday Minerals at the urging of a friend. They are an e-tailer and offer a free sample kit you can order to try to see if you like it. The shipping from the USA to Malaysia is about $5.10 or so. You get to choose 3 foundations, 1 concealer and 1 blush. The problem I find with ordering online is that I never know the proper shade I should choose. Some people have told me that I’m cool, others tell me I’m warm and still others have said neutral. So, what I did was order one of each category. When it arrived, I found that the warm one in fair (lightest shade) suited me best the other two made me look ashen and grey – not pretty I assure you! There are numerous formulas too – matt, semi-matt, intensive etc… After testing it, I found that warm in fair in semi-matt was not bad. The mattifying effects were quite good and the foundation remained even after a long humid day in Malaysia. I’m quite lucky in the sense that I’m quite fair so I usually just head for the lightest to second lightest colour in foundation and usually I’m right. The other two formulas I ordered were intensive and original glo, both of which I didn’t like at all as they did not make my skin look as good as the semi-matt one did. I used a cheap kabuki brush to buff the powder into my skin and it only took about 1-2 layers to get a pretty smooth skin effect. What I don’t like about using mineral foundation is the mess. The samples come in little 5g pots. So, I transferred them out into a bigger tub I have. I found the buffing and dipping of the brush into the tub just makes a mess of my whole dresser. My dresser is a dark wood so you can imagine just how awful it looked. I haven’t ordered the big tub yet. I’m not sure I’d like to continue using it because of the mess. Also, having foundation in loose form makes it hard to travel with. Also, I suspect that the intensive and original glo formula broke me out a tad. I did not experience much problems with the semi-matte formula. I’ll see, as its not very expensive at $6 for 2.6g and $12 for 8g. I’ve tried the eyeshadows from Pure Luxe. I ordered samples which cost between $1-2 each and their shipping is very reasonable. I think it cost me something like $4 to ship 10 sample tubs to me. The samples are also generous portions. I was also given some mineral powder eyeshadows from other etailer brands that I can’t recall off hand. I like using loose powder eyeshadow. However, I found that mineral powder eyeshadow do not have the intensity and colour that other non-mineral loose powder eyeshadow have. Some of the colours tended to be chalky or not very pigmented. Using them wet helps but is too much of a hassle for me. I don’t know if mineral makeup is for me. My foundation sample ran out before I could determine if it was really my style or colour or if I really liked the way of putting it on. I don’t think I want to spend money on a larger tub, as I don’t know if it’ll work for me and if it doesn’t, it’ll just be money wasted. Also, the loose powder all over my dressing table irked me. As mineral foundation isn’t readily available in Malaysia at this time and as most of the etailers are in the USA, I will be sticking to my 2-way foundation for now. As for eyeshadows, I prefer the other brands of loose powder shadows that I presently use. Maybe I’ll venture in the direction of mineral makeup again, but not in the short term. I stumbled upon this unique site called Full Bloom Tea. They basically sell tea but presented in very unique and unusual ways. The dried tea comes to you in various presentations and when steeped the tea â€œbloomsâ€ into a presentation looking very much like a bouquet of flowers. Lovely if you steep it in a clear tea pot so you admire it while drinking the creations. 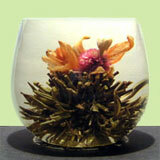 Prior to blooming this tea bloom is in the shape of a heart, making it special to anyone you give it to. Once steeped, this tea bloom looks like a Bird of Paradise. Silver Needle Tea is the highest quality white tea and is harvested during the Spring before the buds open to preserve tenderness. Very delicate providing a pale yellow brew, with a fresh light flavor. Contains Silver Needle White Tea leaves and carnation. Silver Needle White Tea leaves have antioxidants that have been known to help fight against cancer-causing radicals and heart disease. White tea is also good for digestion, longevity, and anti-aging. Jasmine helps relax and alive stress, stabilizes emotions. Marigold helps with stomach irritation, and enhances immune functions. Each bloom is $3 and they ship internationally! The international shipping cost of a flat rate of $25 is rather steep though which is a bit of a pity as this would make a very lovely and unique gift for tea-drinker friends, well unless you are buying in bulk. For those who’d like to try it before buying, there are free samples available, but you have to pay $2 shipping per bloom. I’d love to use these as party favours with a twist but shipping would probably kill me!